The topic of the holidays fires up my engines, as I'm all about finding a reason to celebrate. 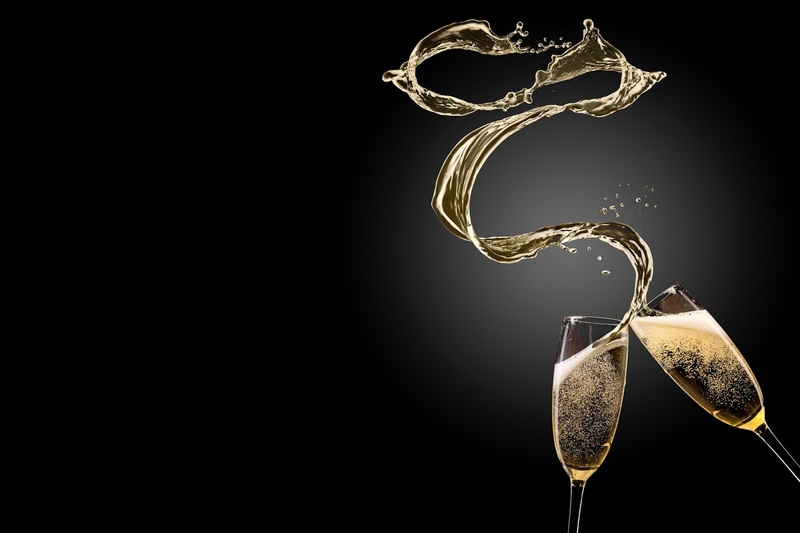 In my world, raising a glass of champagne and being thankful should be an everyday experience. My father worked in telecommunications, so I lived in many different countries growing up. This upbringing allowed me to experience many cultures and unique holidays around the world--so I truly can celebrate something special most days. 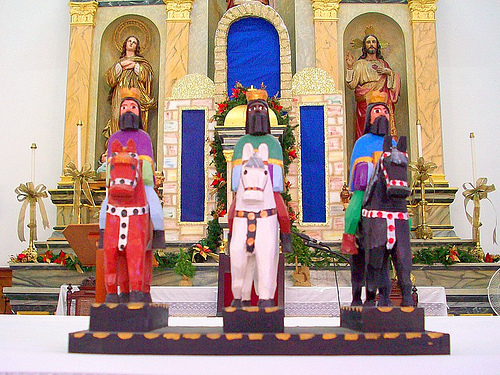 In Puerto Rico, there was no letdown after Christmas because Three King's Day followed close behind. Thousands of children in Latin America and Spain anxiously await "El Dia de los Reyes" every year on January 6th. For many Christians, the holiday marks the biblical adoration of baby Jesus by the three Kings who are also known as three Wise Men or Magi. These Kings found the divine child by following a star across the desert for twelve days to Bethlehem. Melchior, Caspar and Balthazar--representing Europe, Arabia, and Africa respectively--travelled by horse, camel, and elephant in order to present baby Jesus with three symbolic gifts, gold, frankincense and myrrh. 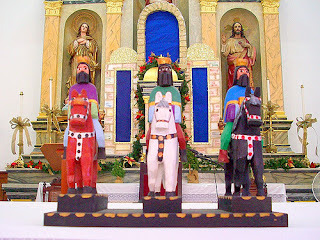 Three Kings Day or "Feast of the Epiphany" is often celebrated with parades, performances, and even celebrations at Disneyland now. When I was in Puerto Rico as a kid this special day and its religious significance meant spending it with my Puerto Rican friends, and receiving not one, but three gifts. Ole! Salzburg, Austria is one of the most beautiful cities in the world. I spent a magical year there at a boarding school--and this is where I learned about Krampus. In Austro-Bavarian Alpine folklore, Krampus is a horned figure that is half-goat, half-demon who punishes children who have misbehaved, in direct contrast with Saint Nicholas who rewards the well-behaved with gifts. The terrifying and demonic Krampus arrives in Austrian, Bavarian, and some Italian towns on December 5, the day before St. Nicholas day, for Krampusnacht or Krampus night. Men and boys dressed as the horrible creature host a parade through town accompanied by smoke and fireworks, chasing children and adults alike with their birch switches and bags of coal. In smaller towns, men dressed as Krampus go door to door demanding shots of schnapps to protect the owners from evil spirits in the winter months. The video above shows a typical Krampusnacht celebration in Austria. In German with english subtitles, it is best viewed in full screen mode. Worth watching. Enjoy! Mashujaa (Swahili for Heroes) Day is a national day in Kenya, observed on October 20 as a public holiday to collectively honor all those who contributed towards the struggle for Kenya's independence. Previously known as Kenyatta Day, which was celebrated to commemorate the detention of the Kapenguria Six freedom fighters, it was renamed in 2010. It is usually celebrated with an event at Nyayo Stadium in Nairobi. 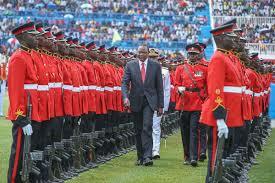 A military parade takes place with troops wearing colorful uniforms from the red, black, and green on the Kenyan flag. The honor guard is presented, the president of Kenya shares a speech that is similar to the U.S. State of the Union Address, and then motorcades and a skydiving display close the celebrations. There are too many special days to share them all, but I hope this piques your curiosity to study other cultures, their holidays, and how there is truly something to celebrate every day! If you'd like to see more travel photos and memories, please drop by my website. Oh K.J. - what an interesting post! I did not know about those special holidays in Puerto Rico, Kenya or Austria and I thank you for informing those of us who have not had a chance to live overseas and experience them first-hand! What an interesting life you have had....it is obvious that with all of your travels, you have great "innate research" to use in your new novels. Thanks for posting! Hi Karna, thanks for stopping by. Happy you enjoyed learning about these holidays. Can't wait to celebrate with you next time we meet up! Krampus! Perfect name. But especially loved Heroes day. Nice post and looking forward to lifting a glass of champagne on the launch of your new book!